The Arizona Daily Star is reporting that one Arizona lawmaker, State Senator Paul Boyer, is taking a different approach to "mandatory vaccine" policy. Instead of mandating that all children should be mandated to receive vaccines even over the objections of their parents, this lawmaker wants to instead mandate that parents are fully informed as to the ingredients in vaccines injected into their children, as well as the known side effects, so that they can make an informed choice. Howard Fischer of Capitol Media Service writes: "A state senator wants to mandate that parents be told exactly which ingredients and chemicals are in vaccines before their children are inoculated. 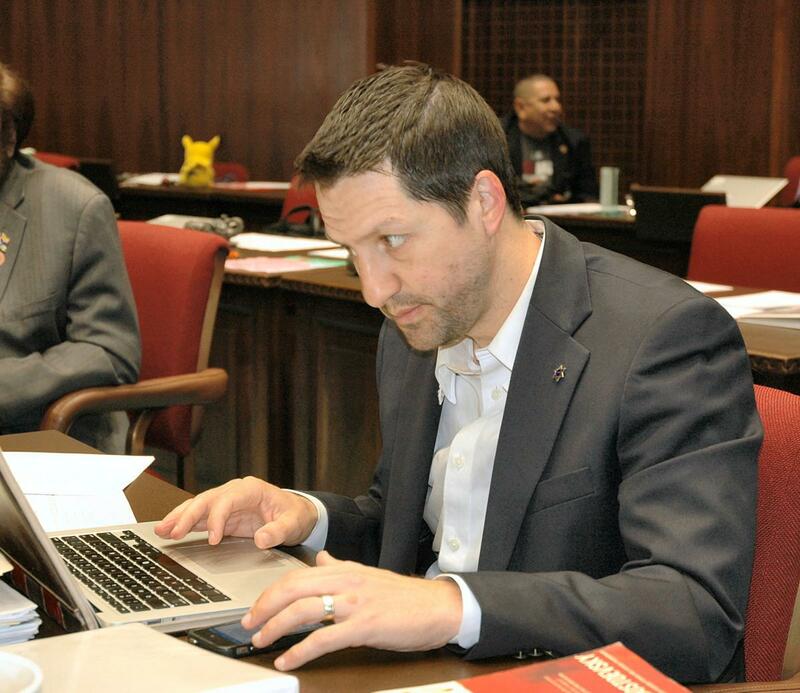 The bill introduced by Sen. Paul Boyer, R-Phoenix, would require that any health professional provide not just the positive effects of vaccinations but also the full list of ingredients and side effects before a vaccine could be administered. He pointed to a list from the U.S. Centers for Disease Control and Prevention that says vaccines may variously contain phosphate, bovine serum, formaldehyde, fluoride, yeast extracts or human diploid fibroblast cell cultures (cultures of human fetal tissue)." How can we mainstream this process to have this included in every state?? Hooray for Arizona State Senator Paul Boyer! What a great tactic. The Vaxxtremists must be really freaking out! Big Pharma's pro-vaxxers don't want true informed consent. They want to continue to obscure the truth. "... it will result in doctors having to spend valuable time explaining the technical information instead of talking to parents about things like keeping their children safe at home and in cars." What!!! Isn't this what doctors are SUPPOSED to do? Explain in-depth information? In our modern death-care system (not health care), doctors have no time to be doctors. Doctors are now trained to deny the symptoms of patients; and apparently, they are also trained to not give enough details so that patients can have "informed consent" and make their own decisions.